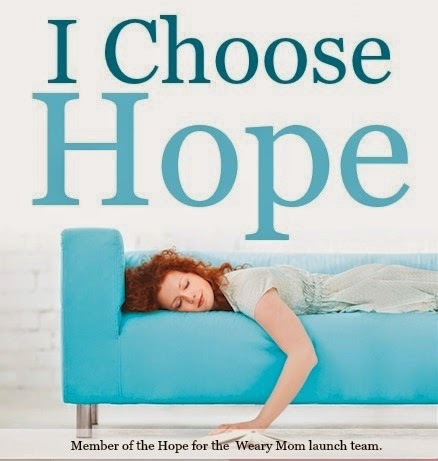 I am so excited about the new book Hope for the Weary Mom by Brooke McGlothlin and Stacey Thacker. As mom, we are have seasons of being tired, overwhelmed, and just ready to throw in the towel. I have followed Brooke through The MOB Society (Mother of Boys) for a couple of years. Her wisdom, insight, and ability to make my feelings of weariness seem normal are such a blessing. Since I believe in so much of what Brooke and Stacey have to share with other mommas, I have become part of the Weary Mom launch team. I think because I have had so many unusual ups and downs through my ten years of motherhood, I have an overwhelming feeling to help other moms. I will be posting images and inspirations on Facebook, Instagram and through my blog as this books gets ready to be launched. If this is something that you can relate to please follow the link Hope for the Weary Mom to view all that Brooke and Stacey have to offer. You can also join the Facebook page here and become part of this wonderful group of moms. I hope you jump in and find this as much of a comfort and blessing as I do.